Your Shaman has new talents, new glyphs, and new “Perks,” along with all the other tweaks and pokes. One of the goals of the expansion is to “clean up” the ability list and smooth out the “rotation.” Do you think it worked? Recently we’ve had some concerns about the numbers that are being put out by restoration shaman in a raiding environment. The next tier has promised to be much more exciting for us in many ways, from the fact that we are getting new raid content to new and exciting new bosses with new mechanics to learn and work with. Today, we’re going to focus on getting ready for this new content. Tier 12 has been nothing if not unfriendly to shaman healers in a lot of regards. Many fights require us to move out of range of each other regularly or to have the group divided, and so we don’t always get the best bang for our buck out of abilities like Healing Rain and Chain Heal as we did in tier 11. Not only that, but with a lot of avoidable damage in raids, the need of our mastery lessens and preventive measures like HOTs and Power Word: Shield become much stronger. We can still heal and hang with the team, we just have to work a little harder for it. Tier 13 though has some very promising, shaman-friendly encounters on the horizon. We’re going to talk about Morchok a little bit here. This giant elemental who is laying siege to Wyrmrest Temple will be one of your first likely encounters. He’s big, mean and full of rocks and hate. The fight itself is incredibly fun and has many mechanics that really play into a healing shaman’s toolkit. 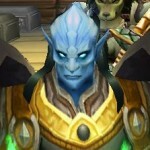 Also see our Resto Shaman guide and our Resto PvP guide. 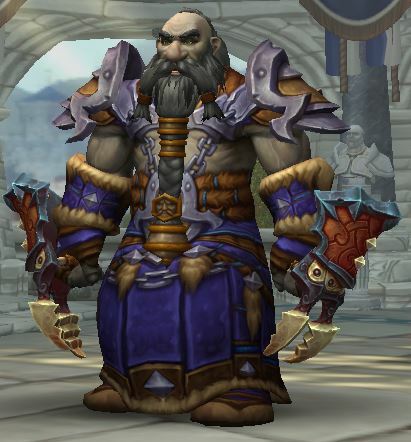 If leveling check out the Shaman leveling guide.